ROBESPIERRE?! ON THE DAY OF HIS EXECUTION??!! BY JACQUES-LOUIS DAVID???!!! I came across this picture on the Morgan Library's blog, where it was posted in 2011. It has been reblogged a few times but doesn't seem to have excited that much attention or comment (at least in sources accessible on the internet). But can this possibly be real? The drawing formed part of the collection of the French dramatist, Victorien Sardou (1831-1908), longtime Revolutionary obsessive and author in 1899 of an hostile melodrama entitled Robespierre. At some point after Sardou's death, his collection was mounted in an gold-tooled red morocco bound volume. 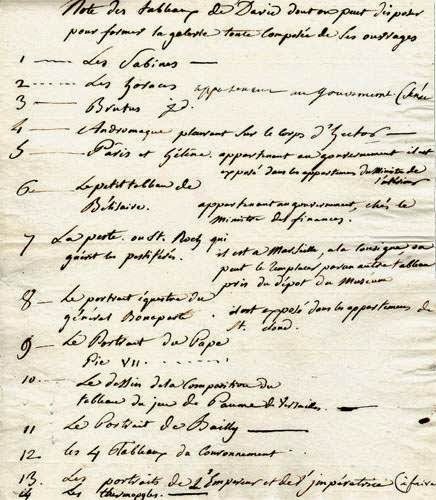 There is an impressive array of material - a manuscript by Robespierre, two pamplets, letters and no less than 53 engravings. The collection was sold on his death in 1909 and subsequently purchased by the Pierpont Morgan Library in 1928. There is no real clue where Sardou might have obtained the drawing though that is no reason to doubt its authenticity - he is known, for instance, to have met and talked to Elisabeth Lebas in the 1840s. This is a difficult one. 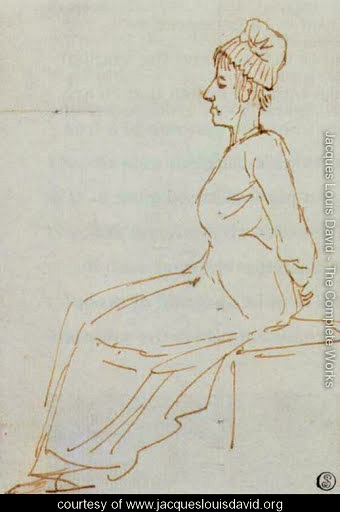 The profile image is similar to other David sketches as is the hard outline of the forehead and nose, the loops suggesting drapery. 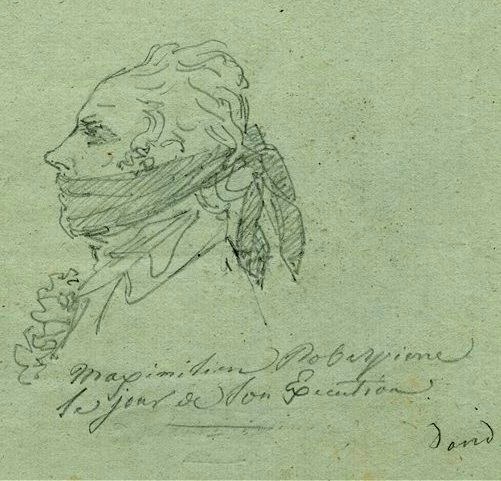 Maybe the Robespierre drawing seems more tentative and has less clean lines, but then the others two are pen and ink - and the subject does have wavy hair and a frilly shirt! 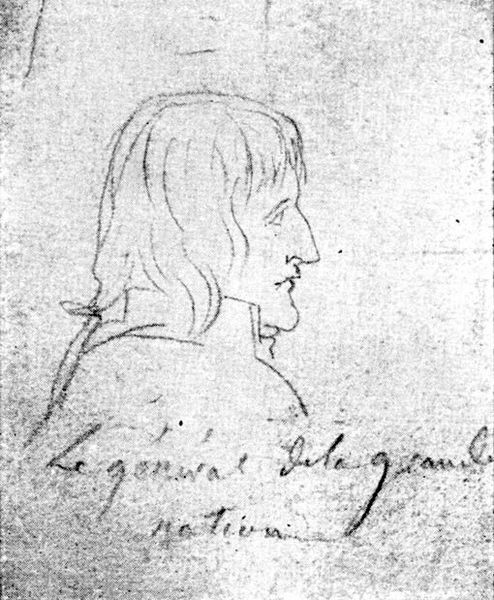 The description from the Morgan Library notes that the name David beneath the sketch is not the signature of the artist, but possibly a mark of identification. The presumption is that the rest of the writing is in David's hand. 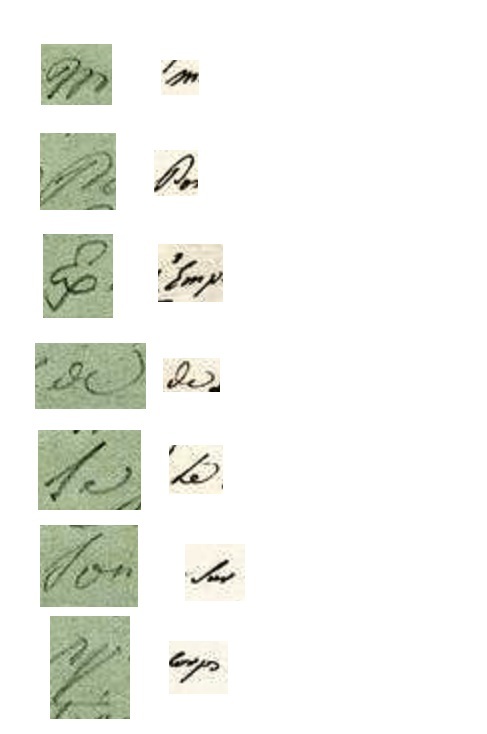 Again, comparison with verified manuscripts does nothing to contradict this - David's writing varies quite a lot with speed, pen and age; the script on the drawing seems to me quite close to the more cursive examples. Where was David on 10th Thermidor? 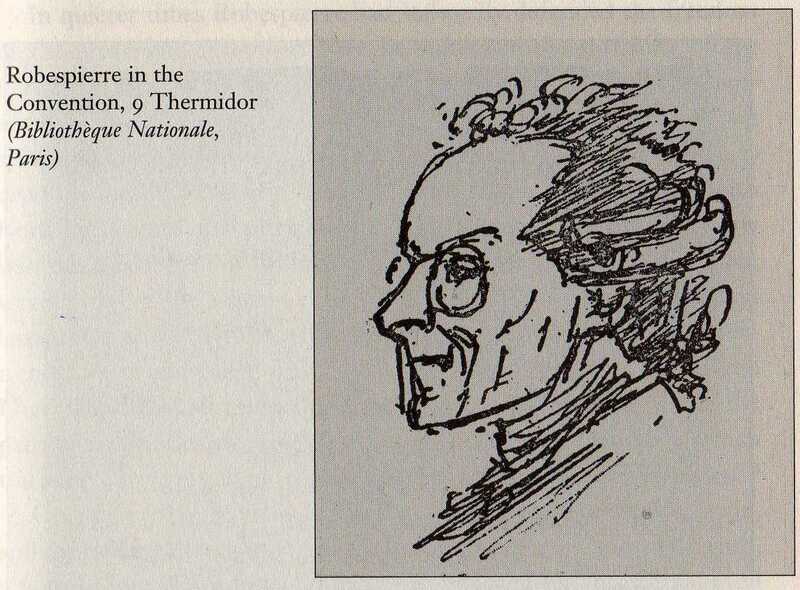 Of course there is nothing to suggest, even if the drawing is by David, that it was made from life or at the time of Robespierre's execution. That at least seems highly unlikely. Having earlier embraced Robespierre fraternally at the Jacobin Club, David absented himself from the Convention for the fatal debate of 9th Thermidor and did not reappear until 13th when he attempted a halting speech of self-defence. With sweat pouring from his forehead, he was a sick man and one (not unreasonably) in mortal fear. It is unlikely he would have risked showing himself on the 10th let alone been capable of producing this cool dispassionate portrait. Robespierre looks more like the reluctant participant in some strange parlour game than someone facing execution, though he need not be actually on his way to the guillotine (the tumbrils did not depart until early evening). Certainly the bandage is less than convincing - more whimsical bandana than a bloody binding. That shirt too is surprisingly intact. We know Robespierre made it unaided up the steps of the scaffold but he was in pain and semi-conscious for most of his final hours. I suspect this drawing was created long after the event, but who knows? Another argument against this being Max is the anonymous sketch of him the previous day in the convention. He is an emaciated wreck and his hair is a mess: it doesn't appear to be powdered, it's unruly on top and it seems to be receding at the front. The person in this drawing seems to have dressed hair.